I’m so thrilled we will be studying Philippians for two weeks in the First 5 App starting Monday, June 18!! Life is full of trials, disappointments, temptations and hardships. But Paul’s letter to the Philippians teaches us to find contentment and joy in the midst of our circumstances by prioritizing what matters most – Jesus. It is on the pages of Philippians where we can discover how to sing songs in the night. I hope you’ll join us! Just what is First 5? First 5 is a free app, created by Proverbs 31 Ministries, that helps you put God first each day. Watch HERE as our Proverbs 31 Ministries President, Lysa TerKeurst, shares about our First 5 App. How do we sign up for the study? There’s no need to sign up. You simply download our free First 5 App that you can download in the App Store HERE or Google Play HERE. Simply follow along with the study plan in the app starting Monday, June 18. You can even set an alarm in the app to remind you to begin your day reading the Bible rather than popping over to your social media accounts first. Is there a First 5 Experience Guide for the What Matters Most study? Our Experience Guides are totally optional. They are not required to study with our First 5 App. They are created to be used as a stand-alone study, or as an accompanying guide to the daily content within the First 5 mobile app for those who would like to go deeper. Watch HERE as our Proverbs 31 Ministries team shares about the What Matters Most study on Facebook LIVE. 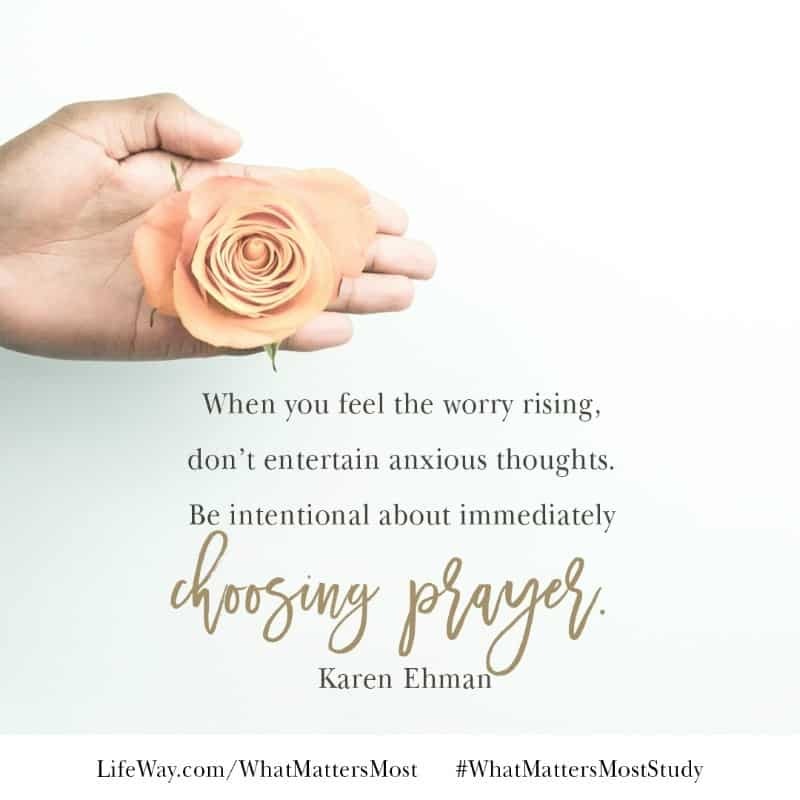 If you would like to dig deeper into the book of Philippians by yourself or with a friend or group of friends, there is a What Matters Most Bible Study guide that I published recently with LifeWay. This paperback study guide is available at Proverbs 31 Ministries, LifeWay (and in LifeWay stores), and on Amazon. 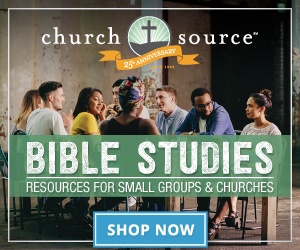 There’s also an e-book version available at LifeWay. And, you can take a free sneak peek by downloading Week One as a sample PDF here. Will we get to watch the What Matters Most study videos? 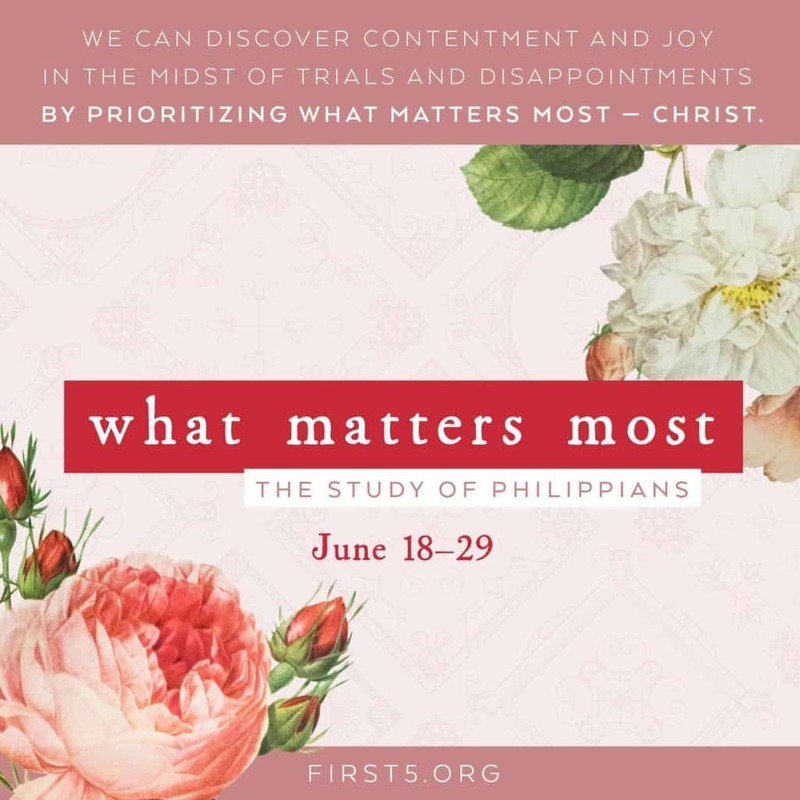 We will be showing short video clips of me teaching on the two Saturdays during our What Matters Most, a study of Philippians in the First 5 App. Will this be different than what First 5 studied Philippians in the Christ Alone First 5 study? Yes. 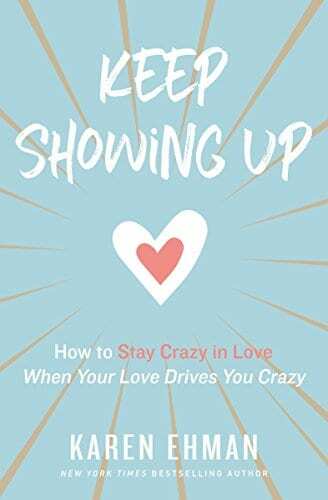 This is an all-new study I wrote for just for First 5 and it goes more in depth than what was covered before in our app. We’ll study Paul’s letter to the Philippians over the span of 10 days and see how it teaches us to find contentment and joy in the midst of our circumstances, to overcome worry and anxiety, and to navigate relational conflict by prioritizing what matters most – Jesus. I can’t wait to spend my first 5 with you every morning for 10 days beginning June 18! 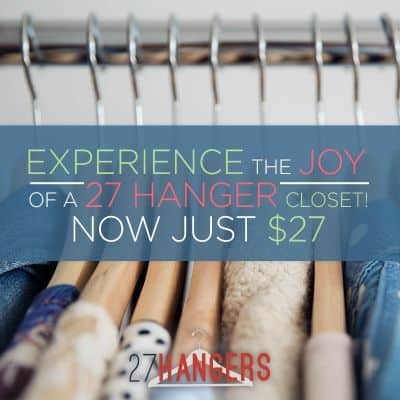 Please share this post and invite your friends to join you too! I belong to a Bible Study group from Broadmoor Baptist Church in Shreveport, LA. 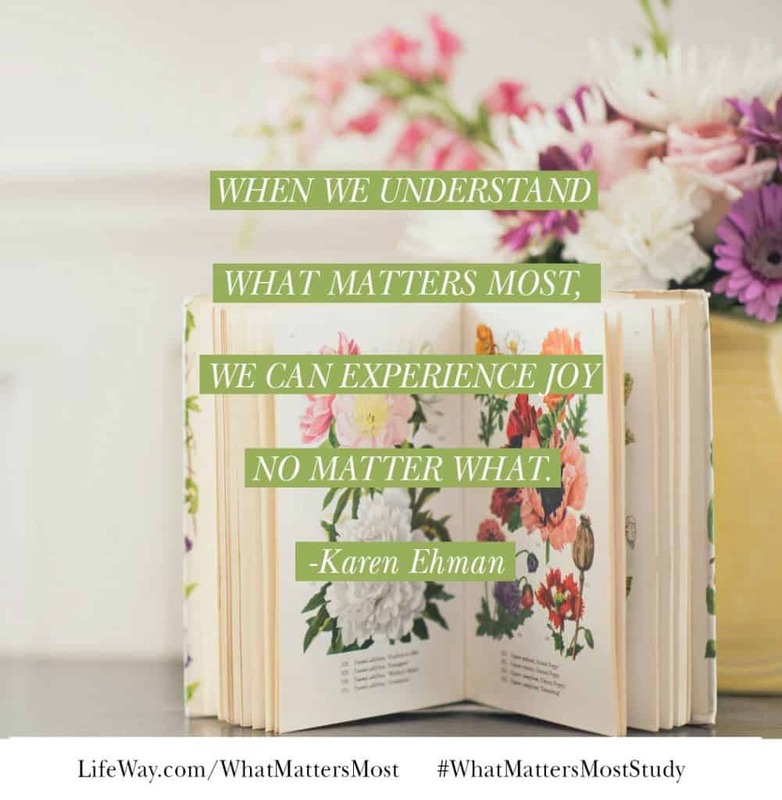 We are using your What Matters Most this fall, and we are in Week 6 of the study. I believe that this study has meant more to me than any of the former studies that we have participated in through the years. 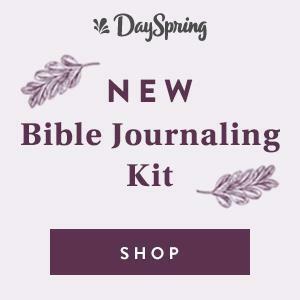 My husband has dementia and in order to be alone for my quiet time to study, I started getting up at 5:00 A M to devote that time to prayer and this Bible Study. I look forward each morning as I wake up, prepare my pot of tea, then open my Bible to Philippians and your workbook What Matters Most to anticipate a rich blessing from God. For his safety and care, my husband made a move to the Memory Care unit of The Blake of Bossier City last Saturday. It is so difficult for me and him, but this study has helped me so much to realize that what matters most in our lives is that Christ is enough and foremost in our lives. Thank you for writing this study. I’ve really enjoyed your book Keep It Shut. It’s helped a lot and I’m not done with it yet. I have problems keeping my mouth shut around my roommate and that’s why I’m reading it. Thanks a lot for writing this good book.